Naval Air Station Whidbey Island is located in Oak Harbor, Washington. 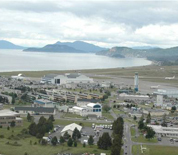 The base is divided into two sections - Ault Field, which serves as the airfield, and the Seaplane Base, which is the location of the main Exchange and Navy housing. Aircraft flown on Whidbey Island include the MH-60S Seahawk, the EA-18G Growler, the EA-6B Prowler, the P-3C Orion, the EP-3E ARIES II and the C-9 Skytrain. NAS Whidbey Island is home to over 50 tenant commands, 17 squadrons, two reserve squadrons, a Search and Rescue unit and a Marine Aviation training Support Group. The aviation squadrons fall under the jurisdiction of the Commander Electronic Attack Wing Pacific or the Commander Patrol and Reconnaissance Wing 10. This NAS Whidbey Island directory features the critical info you’ll need to navigate through the many facilities and recreational opportunities available on base.